Social media have changed the way we see the world and the way we look at brands. They have been a hub of activity and are a tremendous place to share information and to create meaningful social interactions. Brands need to fight constantly for their positions, and one careless action can cost them dearly since nearly everyone values social media in its decision making. Others, however, avoid entering the social arena. It can be difficult for many companies to master it, especially when they have so many other aspects of their businesses to manage. 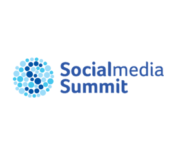 Why not come to the Social Media Summit to be inspired by great cases and talented marketers so you can draw up your social media marketing strategy for 2019? In an effort to inform, inspire and connect digital marketers across industries, the Social Media Summit will welcome advertisers and agencies who have been rewarded at the IAB Mixx Awards 2018. This is your opportunity to learn about monitoring tools, approach influencers, drive traffic, discover how to grow your accounts and be a forward-thinking media user.